Cigarmaker A.J. Fernandez has crafted a new cigar that might be his most profound expression of Nicaragua's Estelí region to date. 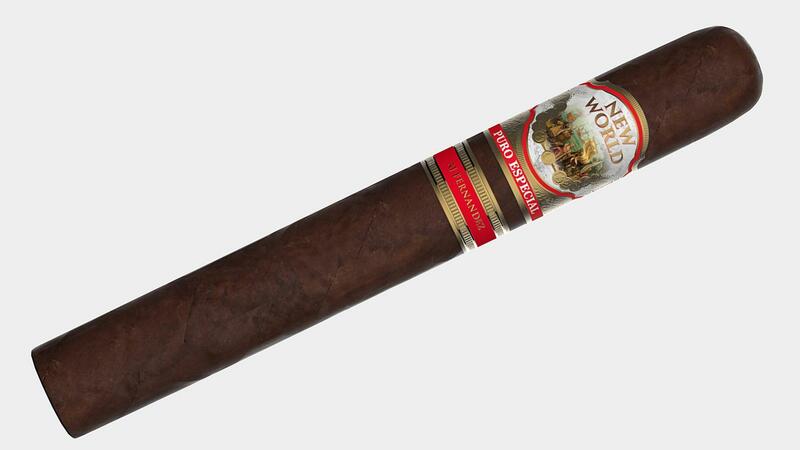 Called New World Puro Especial, it's a Nicaraguan puro blended with tobaccos cultivated exclusively from different Fernandez-owned farms across Estelí. It's an extension of the New World line and is being rolled at Tabacalera A.J. Fernandez Cigars de Nicaragua. The brand will debut at the upcoming IPCPR trade show. The all-Nicaraguan blend was developed by Fernandez and his father, Ismael, over the course of several years. For the wrapper, Fernandez chose Criollo '98 tobacco grown on the company's San José farm. Tobaccos from La Soledad were blended to crop up flavor, while tobacco cultivated on the La Providencia farm contributed to the cigar's desired aroma. The blend also incorporates tobacco from Fernandez's San Diego farm, which the father-and-son duo favor for the mineral quality of its soil. According to the company, each of these tobaccos have been aged three to five years. The Nicaraguan puros will come in three sizes: Robusto, measuring 5 1/2 inches by 52 ring gauge ($8.50); Short Churchill, 6 inches by 48 ($8.00); and Toro, 6 1/2 by 52 ($9.00). Each vitola will come packaged in boxes of 20. The New World brand, named to honor the discovery of tobacco by the Christopher Columbus expedition in 1492, made its debut in 2014. Puro Especial joins New World and New World Connecticut as the third line in the New World series. It should be noted that the New World Puro Especial was released in limited quantities last year under the name Habano Especial. Puro Especial is the final brand name and will see national release after the trade show.